lol.Its true.Everyone does that Uttkarsh.....Apart from you it seems. he will do it now though "_"
there is space for 3009 more buildings and we can at this time build a maximum of 548 structures or 548 more walls. it costs 333 gold, 62 tree and 83 stone ( 666 for walls) to build one building. each building take up to 22 days to build. each farm produce 0 food per day. isnt woven preds player ?? Hey khalifa what World you on in tribalwars? check me out on tw stat my ingame name is babaganabal world 4 and 24 played alot of worlds but thou are the world that i am active in now. 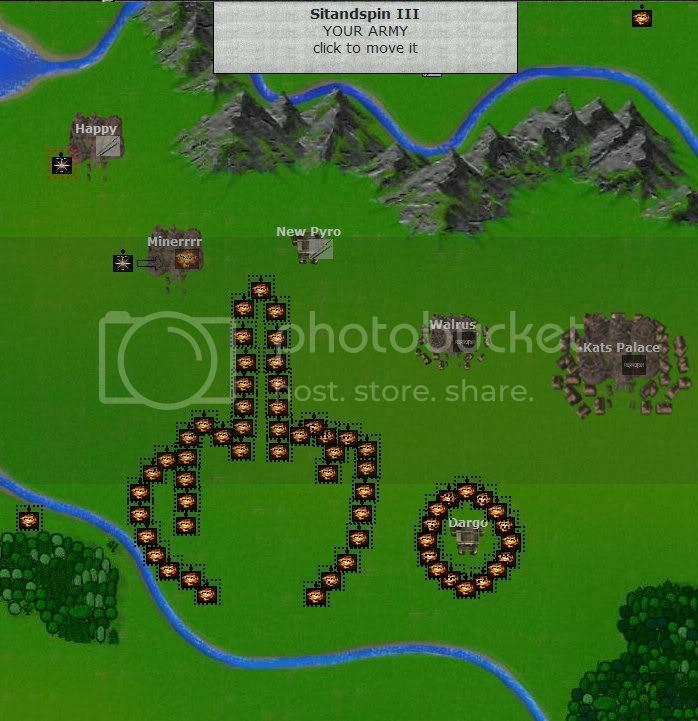 But I can see his army can move again now, lol, it could not move anywhere farther then 3-4 ticks beyond a Allied city. i'm in preds and none know my tatic so *beep* yo. lol, its nto like we are just going to let any one take our citys with burning them and its funny that your saying this about us coz when we were attacking you, didnt you and your members burn you citys ???????? i left elements a message, will be done soon. HAHA Holy Paladin. Preds are in a situation where nothing is worth the time, so why not make a giant F.U. Finger? By the way, that was me! BUT: That sign..... I just love that! Well done. Thanks. Here it is. It's all finished now. looks like i won't have it done. some were killed.